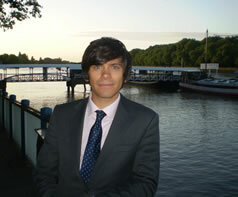 Labour's candidate believes he has what it takes to be a "good local councillor"
started a campaign to tackle dangerous, uneven and unsightly pavements throughout the streets of riverside Putney. And he’s inviting Putney residents to flag up examples he hasn’t yet come across so that he has a complete picture of the work that needs doing for Putney’s next councillor. Just email christian@putneyriverside.info with details and he’ll add them to the map. 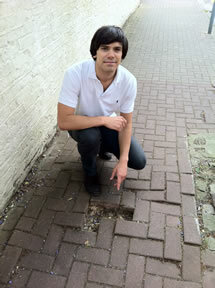 “For the past three years Putney has been the pothole capital of London. Council cuts of up to one third of the road maintenance budget resulted in our streets cracking up at the first sign of bad weather. Putney Bridge is the most long-running example but we can all come up with plenty more. “Today the problem is not less our roads than our pavements. Trees have upturned pavement bricks like the example here in Danemere Street; or entire paving slabs as in Festing Road. It goes ignored. And there are plenty of examples of the council felling and removing old trees without replacing them and just leaving a hole in the ground where they stood.